Runes of War | Because the 9th Art is Serious Business! Because the 9th Art is Serious Business! 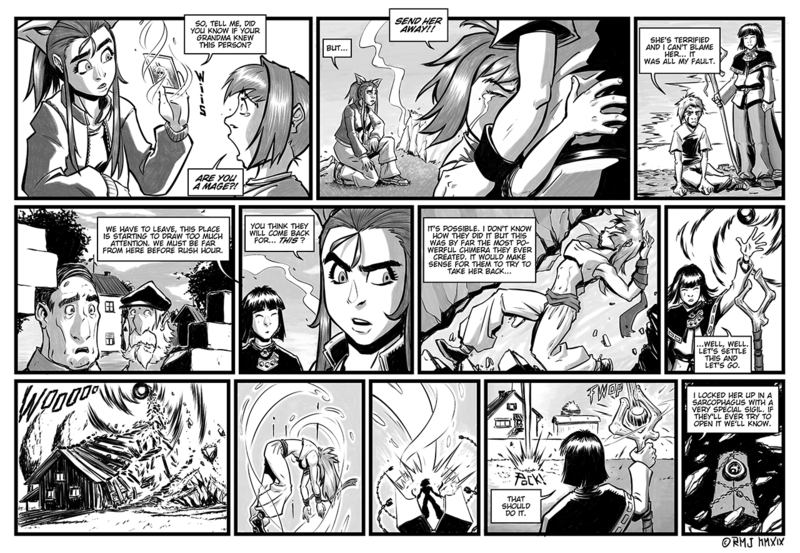 This is a follow up page for a comic I started a very long time ago and left unfinished around 2001… more or less. It started as a story about a guy who finds out to have magic powers with wich he can do whatever he wants but then, as I grew up, the story became gradually more and more dark. The drawings are, of course, horrible but I still love it. [EDIT] I decided to put some very quick colors on it, just to see the end result. I didn’t mean to use that brown / violet on the weapon but I think it works! 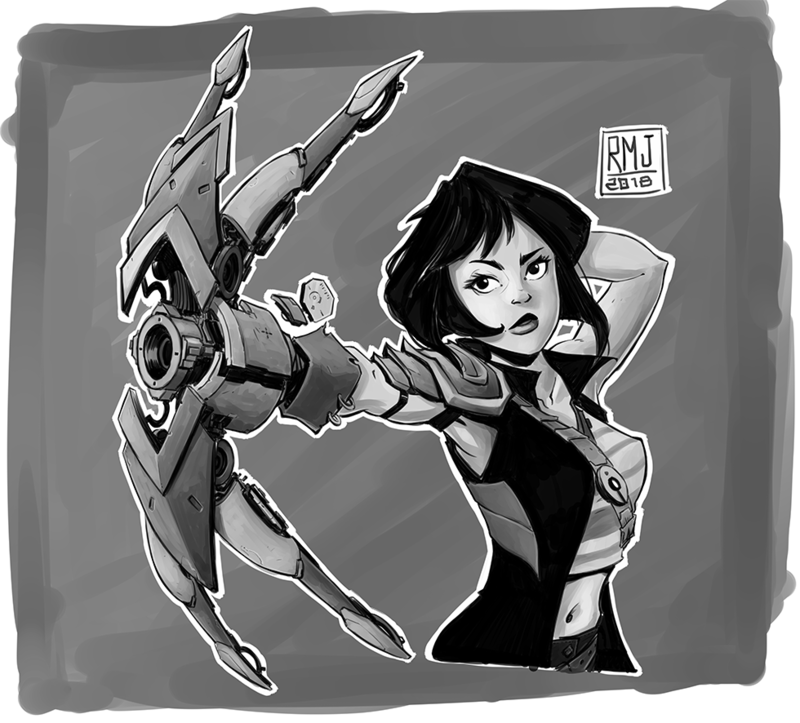 Here’s my Warm-Up sketch from yesterday. 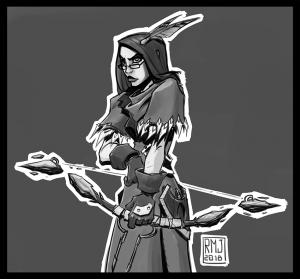 A Reluctant Huntress with some very quick shading on her. 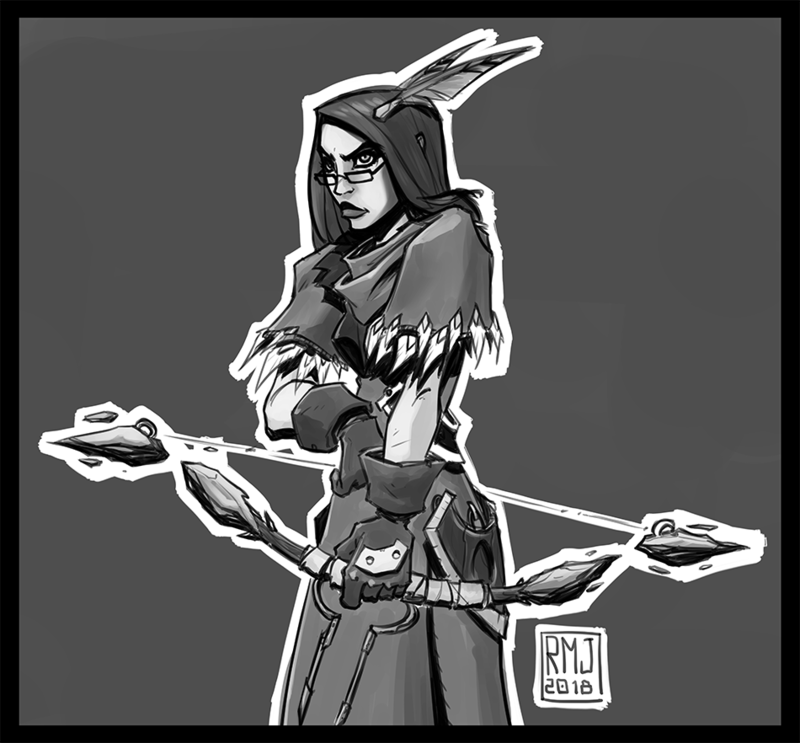 I did some tweakings but I still hate her face and the bow could use some more oomph. I’ll try something more powerful on the next ones. 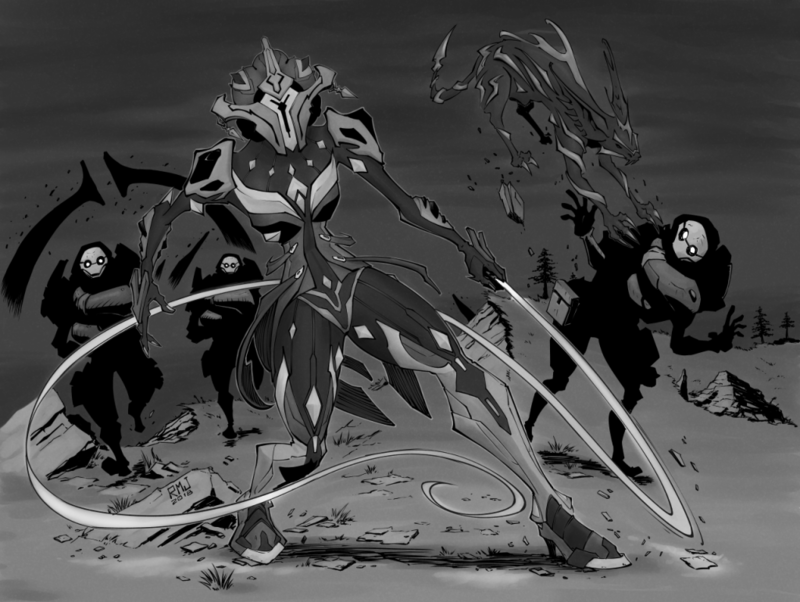 Warframe FanArt. Khora is the new upcoming Warframe that can summon her personal “metal” kavat. I can’t wait to try her! All digital, made in Clip Studio Paint with my Wacom Cintiq. Dumping a couple more sketches from Instagram to keep things rolling here too. Another Saturday Night sketch of my character Firefox and, finally, the prep work of the first comic page done with my new Wacom Cintiq tablet. That thing is amazing, btw. I should have bought it ages ago! Have fun and be positive! Some more sketches posted on Instagram. The first one is an Assault Robot from my Firefox story. There’s something about its design that I don’t like but I can’t figure out what, so something’s going to change on it. Some months ago I gave the Steam version of Giana Sisters: Twisted Dreams to my girlfriend as a present and I lent her my old Gravis Gamepad Pro USB to play it. 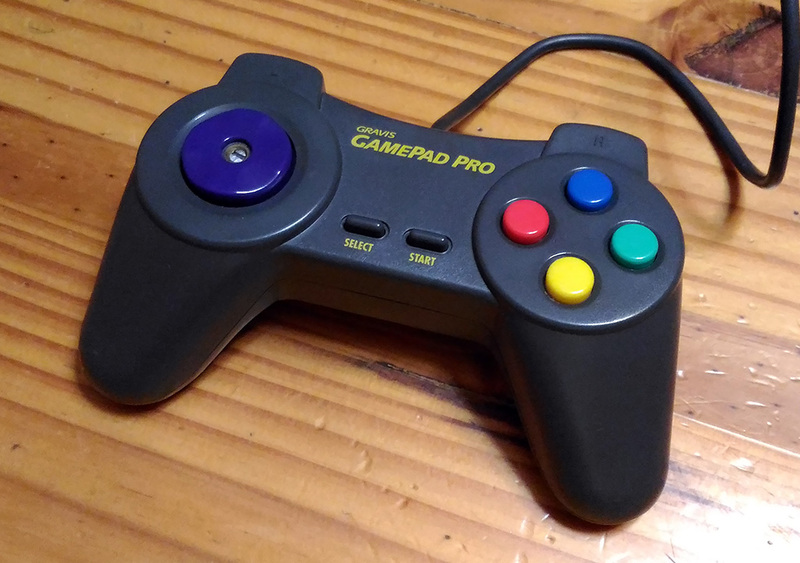 I bought that gamepad in 1999 and I only used it to play a couple of emulated Playstation 1 games so I forgot that its D-Pad was absolutely terrible. That of course made an already difficult game even more difficult. She gave it back to me shortly after and restarted the game with keyboard controls to have a better score. And that brings us to the present. Tekken 7 is being released on PC in less than 2 weeks and that Gravis Gamepad Pro is the only gamepad I own, along with a broken Playstation 2 dual shock controller. Yesterday night I decided to open them both to try to understand why that Gravis D-Pad is so damn inaccurate. 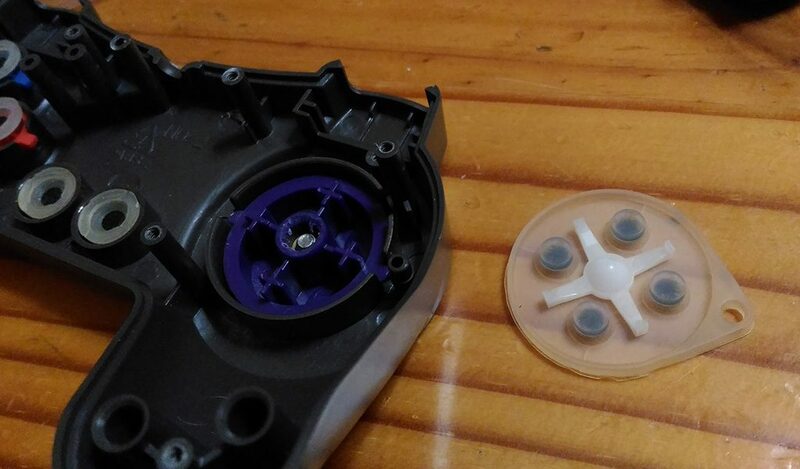 That little piece of plastic is the key of its precision for two reasons: the bump allows the D-Pad to move freely while the diagonally placed X sticks are helping to ensure the D-Pad only presses one direction by slightly hampering your ability to press 2 directions at the same time. Of course you can still do it, “slightly” being the keyword here. That’s the reason for the muddy feeling it has and the lack of any kind of mechanical constraints is why you end up doing left+up or right+down when you just want to do only left or right. My Dual Shock controller was already broken anyway and using that Gravis Gamepad is just a nightmare that makes every game feel terrible and exhausting… so why not try to modify something? Keep reading: the results are way better than what I expected! The idea is to take the cross from the Dual Shock and adapt the Gamepad Pro D-Pad to take advantage of it. 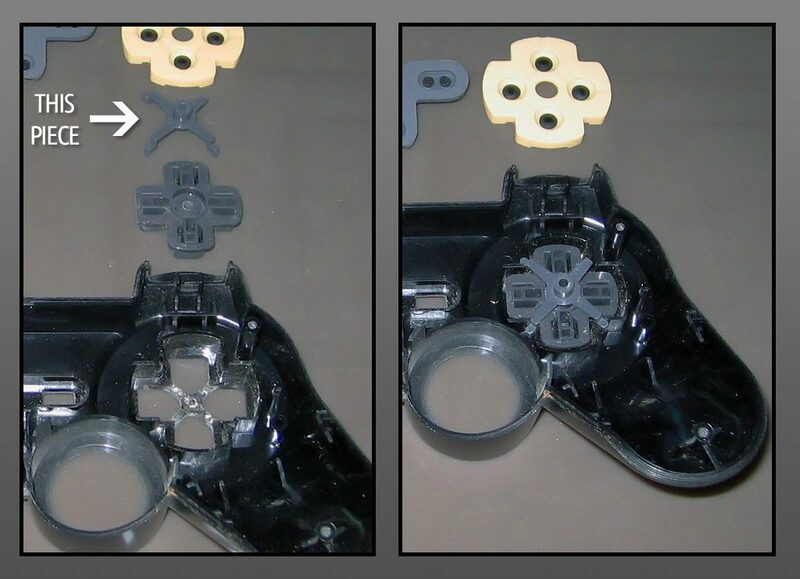 To do this you’ll have to cut the bump at the bottom of the Gravis D-Pad almost completely, you should stop when you reach the same height of those prominent plastic crosses underneath the 4 directions. At that point you’ll find that the inside is empty except for another plastic “plus” that we need to remove too. Now smooth the surface the best you can and try to fit the Dual Shock cross in it. 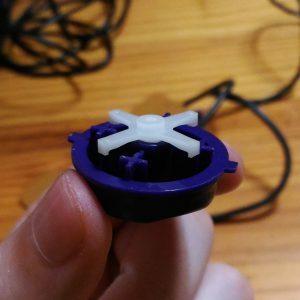 Now it’s time to tweak the D-Pad height and we’re going to take advantage of the thread in which you should have put that useless detachable joystick that you’ve probably broke the first time you tried it. Buy a threaded rod of the same size (any hardware store should have it), tighten it in until it touches the bump on the Dual Shock cross, do a couple more turns until you lift the cross about the same height it was on the Dual Shock D-Pad. Now put a mark on it, very close to the D-Pad, and cut it there. I even did an horizontal cut at the tip so I can use a screwdriver to put the thing in place. And now it’s The Moment of Truth! 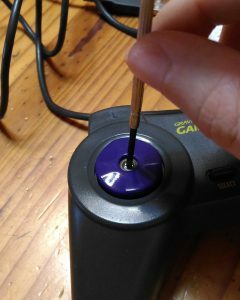 Put the Gamepad Pro with its new cross back together and tighten the threaded rod inside the D-Pad. Tweak its height until your D-Pad feels awesome to press, you should even hear a distinct “tick tick” sound very reminiscent of arcade cabinet buttons, and fix its position with a drop of super glue if you’re afraid that your threaded rod won’t stay still. After a couple of hours of work on a sunday night this old gamepad is completely transformed. The D-Pad now has pinpoint precision, feels awesome to use and it seems like a very sturdy setup too. I realize that not everyone has a broken Dual Shock around but I’m sure you can come up with a similar shape with other materials. You’ll probably need to go through some trial and errors but this is the setup you should aim to have to make the whole thing better. Have fun!